Strong Rand will lead to fuel price cut: AA - SABC News - Breaking news, special reports, world, business, sport coverage of all South African current events. Africa's news leader. 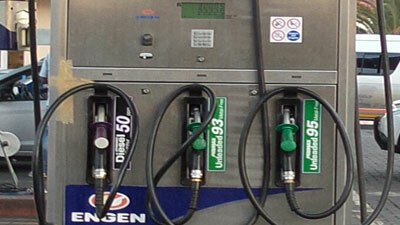 The price of petrol will go up by seven cents on Wednesday. The Automobile Association says if the Rand continues to strengthen against the US Dollar it could result in good news for motorists in the coming months. The price of fuel will increase by a minimal amount at midnight Tuesday with both grades of petrol increasing by seven cents per litre. Diesel will go up by between one or two cents a litre while illuminating paraffin will decrease by five cents. AA Spokesperson Layton Beard says when the fuel price increases consumers don’t necessarily drive less, but rather cut back on other expenses in the household. “We are looking at the numbers going ahead. The Rand has strengthened significantly against the dollar in the last couple of days. So, let’s keep an eye on that and see what happens towards the middle of the month and the end of February; maybe we’ve got good news going into March. “People are very reliant on transport. They have to get to where they have to get to and I think what you’ll find is that people will actually cut back on other things; on other expenses to accommodate for the fuel price, because they know it’s so important to get to work; to get to pick their children up; to get around,” Beard argued. This entry was posted on 05 Feb 2019,04:04PM at 4:04 PM and is filed under Business, News, Homepage Latest Stories Slider. You can follow any responses to this entry through the RSS 2.0 feed. Both comments and pings are currently closed.